To be typically South African: What a lekker run! We got off to an early (6:30am) start on a most spectacular day. 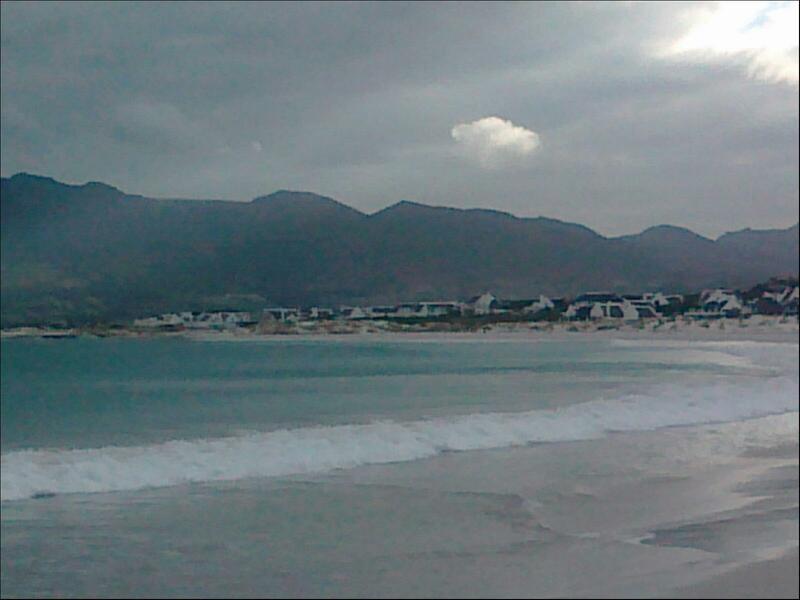 There was no sign of the wind that had been pumping continuously during the week. Crisp clear, sun filled morning – just the way I like it. A smallish group by last weeks standards but a good turn-up at any rate. 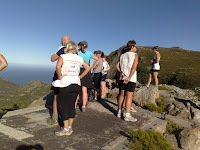 Our run took us the hard way up to the top of Steenberg Peak with lots of huffing and puffing. A well deserved rest was had at “the fat lady’s shelter”. It was pretty much downhill from that point onwards. 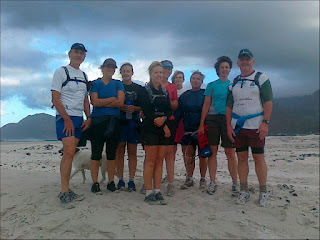 We did a left hand loop past the radio mask, over to the top of Farmer Pecks, past Muizenberg cave and then back to the car via the single track that runs parallel to the jeep track. I am not sure of the time but we ran a sweet 10km’s. 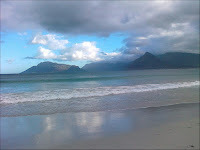 This Saturday's outing was a pleasant surprise because despite a black sou-easter howling over most of the peninsula, at Long Beach Noordhoek it was subdued to a gentle breeze. Consequently ten of us had a good long run along the waterline to Kommetjie and back clocking up 11.8 Km. Sure several of us got our feet wet but it was good clean sea-water and in the process we saw a whale close in lazing in the surf and wondering what we were up to. Then it was a large , which according to Neil was a sunfish which was stranded on the beach. Time out was taken to inspect the wreck of the Kakapo and observe all the intersting debris that accumulates at the high water line. 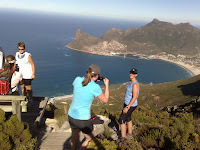 Our first run of 2011 was a scenic trot along the escarpment overlooking Noo rdhoek, Hout Bay and around to Steenberg Ridge overlooking the Constantia Valley. 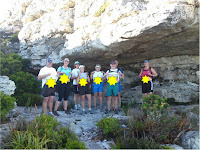 We welcomed six newbies and ten old hands from last year. Despite fears of the South Easter trying to rip us off the high points the weather was kind to us with just a gentle breeze to cool us down,.